The Cyclone Idai relief response has begun. But Beira still needs your prayers and support. After our initial call for prayer and support, BMS World Mission supporters donated over £35,000 towards relief efforts in Mozambique. Thank you so much for your generosity. You’ve helped us kickstart the relief response in Beira. But the people there still need you. The city of Beira still needs your support. Donate now. “I have conveyed your prayers, support and encouragement to all those I’ve met from the CBM and they have been extremely grateful to know the world is standing with them,” says Rachel Conway-Doel, BMS Relief Facilitator. Rachel recently returned from Beira after flying out in March to help the Baptist Convention of Mozambique (CBM) assess the need created by the cyclone. 200,000 homes have been destroyed, and over 1,000 cases of cholera have now been reported, and there have been at least two reported deaths. Cholera vaccination programmes have begun in Beira and other cities in Mozambique, with over 900,000 vaccines being shipped to Beira alone. Mosquito nets have also been provided to many people, including all our supported partner workers, to help combat a rise in Malaria cases. Your support is vital for the Cyclone Idai relief response. The long-term relief response in Beira will take the form of reconstruction of infrastructure, agricultural recovery and legal education support. As the devastation caused by Cyclone Idai shifts out of the media spotlight, we know you won’t forget about the people of Beira. Please continue to pray and give so people there can rebuild their lives. 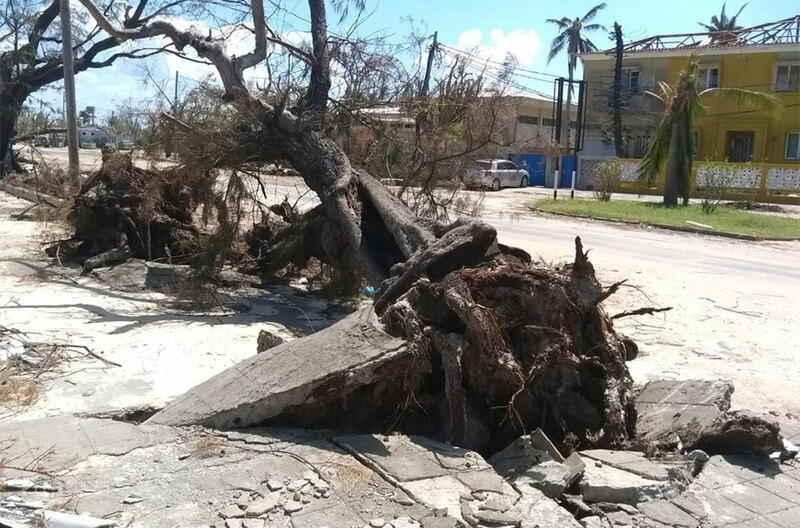 “I have lived nearly 30 years in Beira and have never seen anything like this,” says BMS worker Carlos Tique Jone, who was in Beira when the cyclone struck. He and his family are safe, and he is working with CBM to help facilitate the Christian relief response. Watch the above video to hear a thank you message from Carlos, and see how your prayers are already having an effect. Pray that their families will be protected from cholera and that the vaccination programme can reach everyone. Pray for Lídia’s house, part of her roof and wall has been damaged and as she is both studying, working and living alone, this is hard. Pray for her and her house to be protected. Pray for the people AMAC serve – beforehand they were vulnerable people and now they will be more vulnerable because of the Cyclone. Pray for the many mothers and widows whose homes are uninhabitable and don’t know how to restore their lives. Pray for Mozambican churches as they start to rebuild, facing huge financial needs. So many churches have been affected, and so many members are in financial need themselves that rebuilding is going to be a massive challenge. Pray for all of the Christians struggling to rebuild their own lives while also helping their churches help others. Pray for jobs. Many companies have closed, so many people have lost their jobs. Pray for the Mozambican economy and its effect on ordinary people. If you want more prayer points for your church, please visit our previous update: Pray for Beira. Thank you for remembering Cyclone Idai survivors. Please keep praying for the relief response in Beira. And if you want to do even more, you can help our brothers and sisters on the ground in Mozambique by giving today. Thank you.